Spice and Wolf Light Novel Translation! UPDATE: We are now completely finished with the project! I will no longer be collecting emails! Arigato Gozaimasu for following our efforts! Please purchase the books and blu ray to support the series! We are now working with Roselia Scanlations and their affiliates! Hey guys I'm a avid Spice and Wolf fan and I was not satisfied with the ending of season 2 during the anime so I did more research and found out the anime originated from the light novels. So I started searching for the books. The company "Yen Press" has the books licensed and are releasing 2 books per year in english... at this rate it'll take another 6 years or more to finish all the novel translations... there are 17 novels. They have recently upped their pace to 3 books per year but fans still find this to slow. Book 17 the last and final book was released in Japan last year around July(2011) but the official English Translations have only gotten to book 5 as of now(Book 6 is pre order-able). B-T were doing a translation for em up to volume 6 I believe but it was canceled because they got licensed. I have found volume 1-4's fan translation(vol 2 was incomplete). I will not be handing a download link due to the fact the official books have already been released so I encourage everyone who likes the series to order the books to support the Spice and Wolf franchise! The Anime only follows the light novels up to volume 5(skips vol4) so what alot of people really want to see is volume 6 and above. Vol 4 which has been skipped in the anime is a very good read. I highly recommend buying the book and reading it. 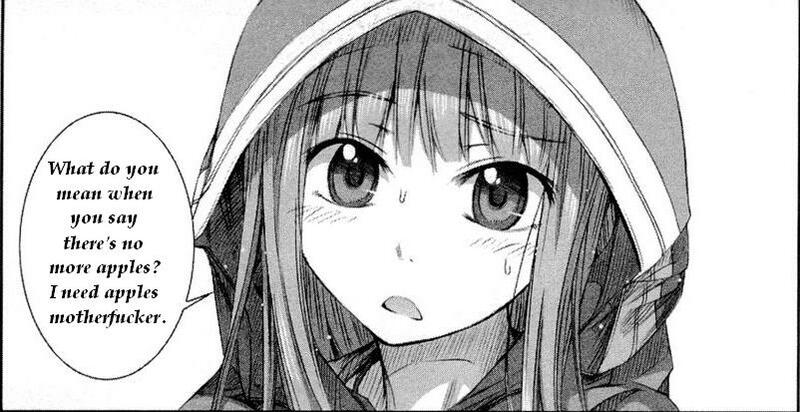 Has a ongoing discussion about the light novels translations. I am part of the translation group. If you want to help out translation group please consider donating to our translator or by sending me a message if you want to join the translation/editing team. If the torrent has no seeders tell me I'll try to seed for whoever needs the videos or Light Novels. There are still 2 special, really short special episodes you can find online or watch by streaming. If you find these 2 episodes up for download please contact me! Can be watched for free on Funimation watch the subbed or dubbed eps! Update: Chinese Volumes 1-11 found. Place your Emails on this thread or send it to me to be added onto the emailing list. I am part a of a fan translation group! Please buy Spice and Wolf's dvds, books, and other products to support the series! You'll never know when a Season 3 for the anime may come around! Translation of Vol 7 is underway and is going smoothly. Please consider donating to our translator and buying the official books and products to support the series! Vol 8 done. Vol 9 nearly done. Please support S&W by buying their books/dvds and products! Consider donating to our translator to keep the translation going! Our translator is hired not a volunteer! Vol 6 fully translated. Starting Vol 8. Skipping Vol 7 because it is a side story. Translation is underway prologue of Vol 6 is already done. POST YOUR EMAIL HERE OR SEND IT TO ME. Long Live Spice and Wolf~! Gonna move this to the Corner. The main reason is because not everyone in the clan is into this sort of thing and so it should be contained to one section. Wow thats amazing. 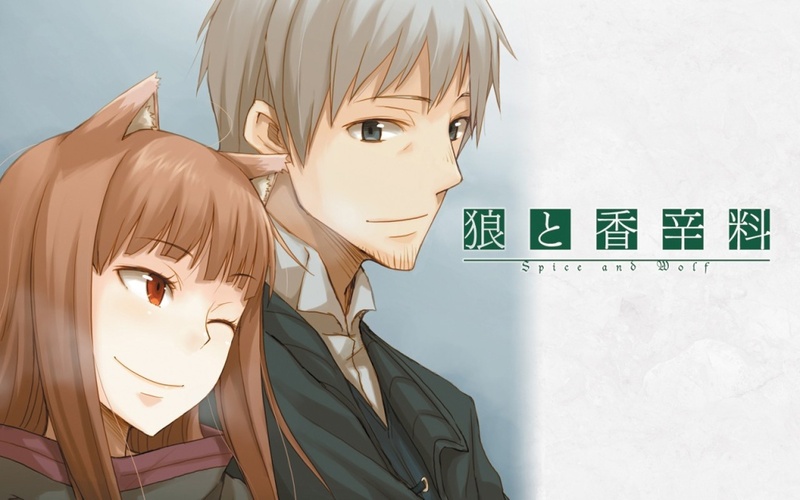 I hope you like Spice and Wolf when u start watchin/reading it. It would be awesome if u could translate it. So hows it coming along? Have you tried reading the novels yet? hey thanks. glad see to someone translating the novel past whats currently in the anime could i get update on the novel to? Sure thing give me your email and I'll send you the link. glad see to someone translating the novel past whats currently in the anime could i get update on the novel to? Hello after some searching I finally came up to this thread and I'm hoping that someone could help me out.I'm interested in reading all the light novels from Wolf and Spice that are not included in the anime (etc 5-17 I belive) but I just can't seem to find them. Please send me download links, the files, whatever possible.Otherwise i'd be forced to go find a raw version and use google translator which is like ... painful to read.Would probably kill the humor -.-"
What is the current status on the translation? I have read all 17 volumes. PS doesn't have to be translating per se. Anything I could do to help. Proof-reading etc. Oh as for the status. Volume 6 is done and Vol 7 is being skipped. We are on Chap 2 on Vol 8 at the moment. 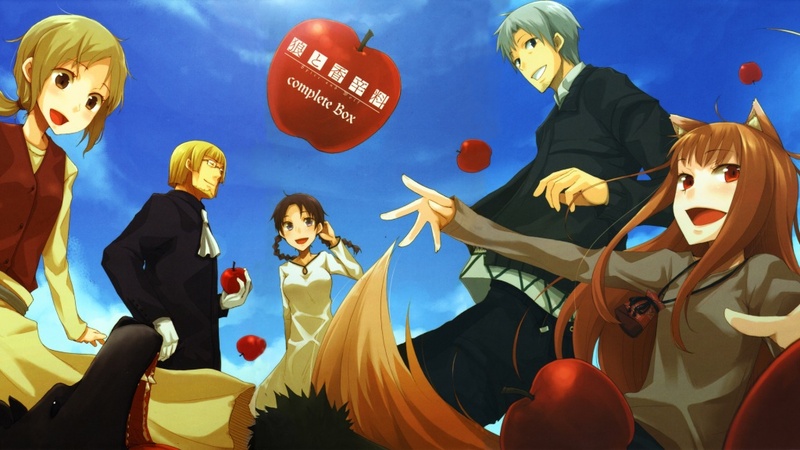 Subject: Re: Spice and Wolf Light Novel Translation!